21 Savage was up for two Grammy Awards last night for his joint track with Post Malone. Despite this honor, the rapper was forced to cancel his attendance due to his current ICE case. Considering the upsetting predicament, many fans assumed the artist's absence would be acknowledged especially since his collaborator went on to perform their hit single with the Red Hot Chili Peppers. Post Malone opted to skip 21's verse in its entirety, a move that is being viewed as a missed opportunity to show support for his fellow entertainer. 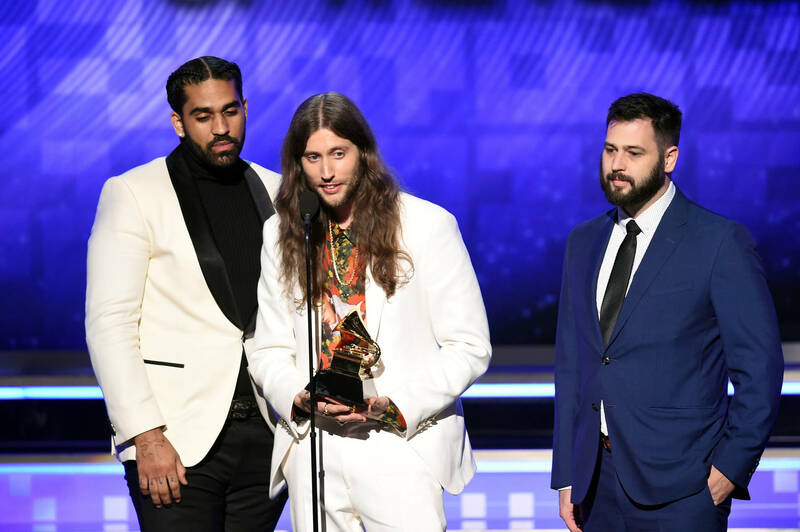 A meaningful shoutout finally arrived more than three and a half hours into the broadcast through Ludwig Goransson's acceptance speech. The Sweedish producer received the Record of The Year award for Childish Gambino's "This Is America." After speaking on his own immigration story, he took time to thank 21 Savage, who contributed background vocals to the song. The other mentions were delivered offstage. Leon Bridges, speaking to press on the red carpet, labeled the rapper's immigration troubles as a "disheartening" situation. "The foundation that he's laid in his city and in music has been huge," the crooner reflected. "Honestly, he's one of my favorite rappers. I'm a man of faith so I'm praying he gets back in the States." Dua Lipa also expressed similar sentiments in the press room: "It's quite upsetting given he actually hasn't done anything and how much he's done for American culture. Even for being a Brit."